Hyundai Verna Fluidic, one of the most successful car from the house of Hyundai is all set to get a facelift. 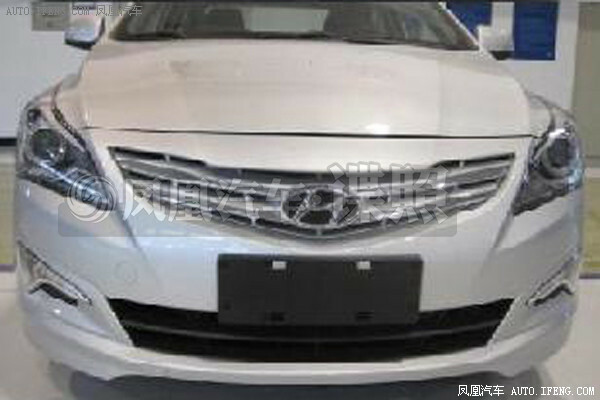 Replacement to “Car of the Year 2012”, the New Verna has been spotted recently in China. Earlier Hyundai showcased this car at the 2013 Guangzhou Auto Show. This change was very much necessary to combat the increasing competition in this C-segment especially by the all new Honda City Diesel. The new 2014 Verna is only be a minor facelift to the earlier model based on same fluidic design but with some visual changes. The new addition in the car includes a new bumper, a new smiley grille, redesigned headlamps, improved fog lamps, new alloys, turn indicators on ORVM (Outside Rear View Mirror) and an optional sunroof too. The rear bumper has also been refurbished. 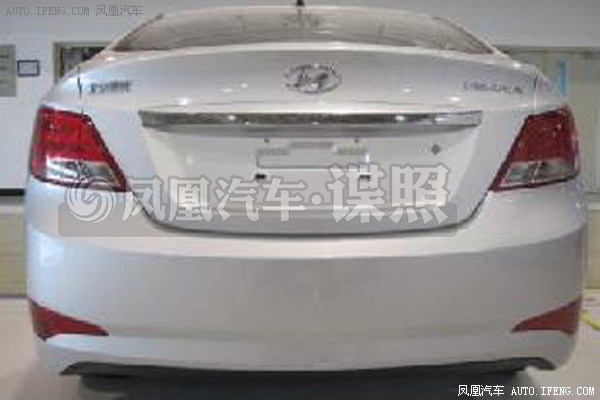 The tail lights and reflectors on the rear bumper are also of a new design. The tail lights can be LEDs instead of the normal halogen bulbs. No images of interior are out yet but most probably the interiors are expected to remain the same or with some minor improvements only. Safety features include six airbags, Electronic Stability Control (ESC), Vehicle Stability Management (VSM) and ABS with EBD. Some rumors are also there that car may incorporate new technologies like Rear View Camera with sensors, electro chromatic mirror etc but no confirmatory news we have on it. The facelift will retain the current Verna’s engines options. In the petrol, the Verna is currently available with 105bhp power, 1.4-litre with 135.4Nm@5000rpm torque and a 121bhp power, 1.6-litre with torque of 154.9Nm@4200rpm VTVT engine options, while the diesel variants come with 89bhp power, 1.4-litre with maximum torque of 219.9Nm@1750-2750rpm and 128bhp power, 1.6-litre 4 cylinder inline configuration engine with torque of 260Nm @ 1900RPM. The petrol engines are joined to a five-speed manual transmission, a six-speed manual for the diesel engines or an optional four-speed automatic transmission gearbox which is available with both diesel and petrol engines. The prices of the 2014 Hyundai Verna can be set marginally higher than the ancestor from Rs. 7.40 – 11.69 lakhs. Hyundai Verna 2014 will be facing the stiff competition from the all new Honda City, Volkswagen Vento and upcoming Maruti Suzuki YL1 and Fiat Linea facelift. Earlier Fluidic Verna set a benchmark in its class with ample power and luxury, so same will be expected from this new Verna 2014 too. For more information on 2014 Hyundai Verna and other new cars, stay tuned to 4wheelreviews!